Egan Hardwood Frame Markerboards feature EVS or EganBoard Porcelain encased in a solid hardwood frame with a 1/2" bullnose edge. Satin lacquer in an open-grain finish, gives this robust markerboard excellent appeal. Clean contemporary design and EVS combine to create a low gloss, dry-erase board and non-reflective projection surface in one product. The Dimension Board sets a new standard for design features and practical performance. Built to contribute to LEED objectives, Egan Dimension Presentation Board is the green whiteboard. Available in White graffiti-resistant or Natural edge clear coat option to reveal the board’s sustainable fiberboard construction. Clean contemporary design and EVS combine to create a low gloss, dry-erase magnet-compatible board and non-reflective projection surface in one product. The Dimension Stele sets a new standard for design features and practical performance. Available in White graffiti-resistant or Natural edge clear coat option to reveal the board’s sustainable fiberboard construction. Dimension (Frameless) Slim Design Presentation Boards have a warp-free construction, and use a sustainable recycled honeycomb/fiberboard combination. Lightweight and only 1/4″ thick and mounted on raised stanchions, Dimension (Frameless) Slim Design stands about an inch off the wall, and makes a great impression. EganINK letters, lines and graphics offer limitless design options. Ideal for dry-erase and projection. he Egan Dimension Presentation Board may be specified in linked configurations with large (1 1/2") or small (1/8") radius corner details. 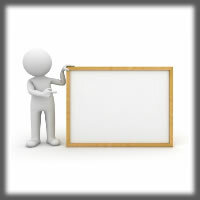 Create a massive presentation surface that is easy and economical to install. Guaranteed-to-clean and great for projection, LINXX is built to contribute to your LEED objectives. The Egan Dimension Stele Presentation Board may be specified in linked configurations with square corner details. Create a massive presentation surface that is easy and economical to install. Guaranteed-to-clean and great for projection, Stele LINXX is built to contribute to your LEED objectives.